Even though airless wheels are nothing new, we can normally find them on special vehicles such as bulldozer or tractors. They are called tweels and they were first designed by Michelin. However, they are now being reinvented it with a twist that can make driving safer, more efficient, and more environmentally friendly. 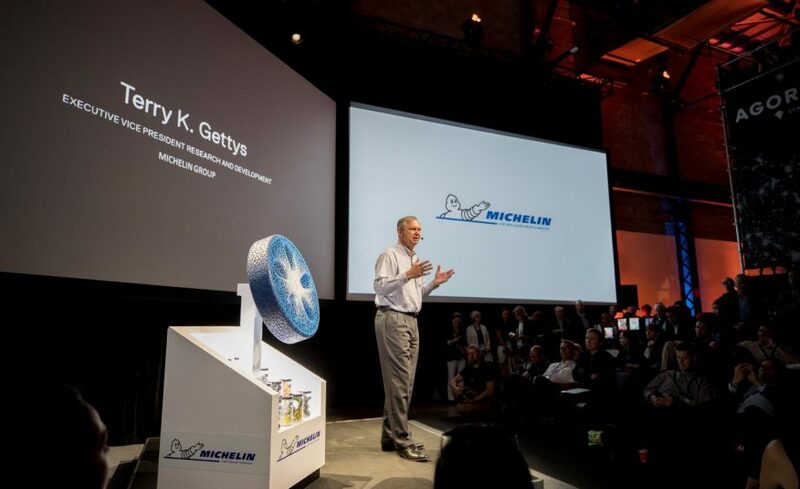 The tweel was presented the last week in the global summit of sustainable mobility in Montreal called Movin’On organized by Michelin. 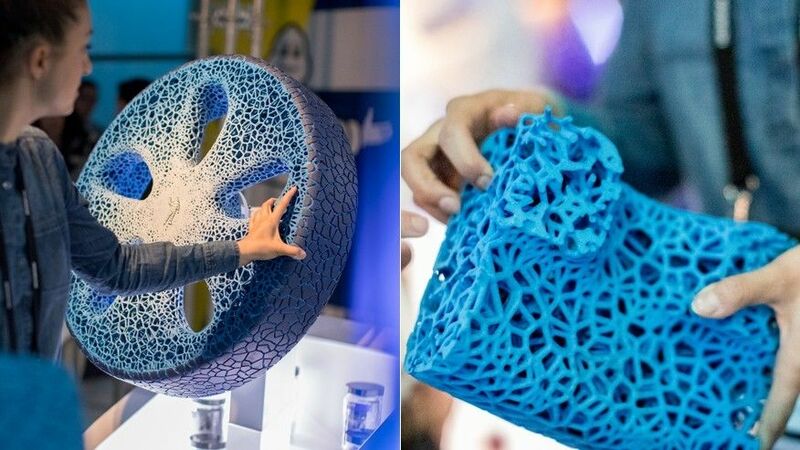 It is called the Vision and it is a 3D printed airless wheel, completely different from its predecessors. The Vision is eco-friendly as it is made of biodegradable materials and it can be recharged by printing the tread on the used one when it is depleted, which saves expensive costs and waste of materials. Also, the tread can be replaced, depending on the weather conditions, to make it safer and easier to change than the current wheels. Besides, the tread cannot be as thick as it is now. The Vision has been designed to imitate the structure of corals. In the center of the tweel, the material is compacted and when moving to the tire it has more gaps, like a honeycomb. Like it predecessors, being airless prevents the tweel to punch or explode. Finally, the tweel is thought to work together with the car and not for it so they have installed some sensors inside it endowing it with intelligence. These sensors keep track of its condition in real time so that the driver can check the information in a mobile App and act in accordance with it. For example, the user could make an appointment to recharge the tires when the sensors send a warning to the app. 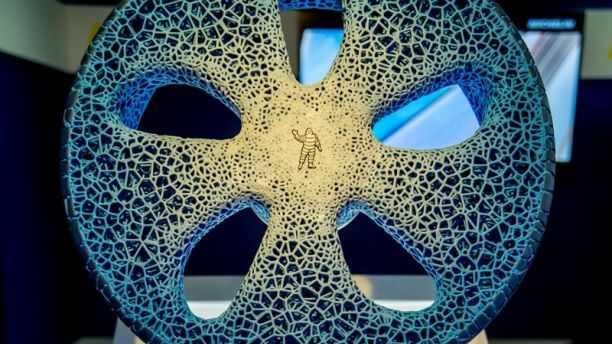 Thanks to the 3D printing technology, there are many new applications of additive manufacturing appearing these days. These applications bring important advantages, like lower costs, more sustainable or new business models. Can you find the next one? Join our community and apply the additive manufacturing to our engineering challenges!